Move right in to this updated 3 to 4 Bedroom, 2 Full Bath One-Level Ranch with over 1800 sq ft in convenient north-side neighborhood. 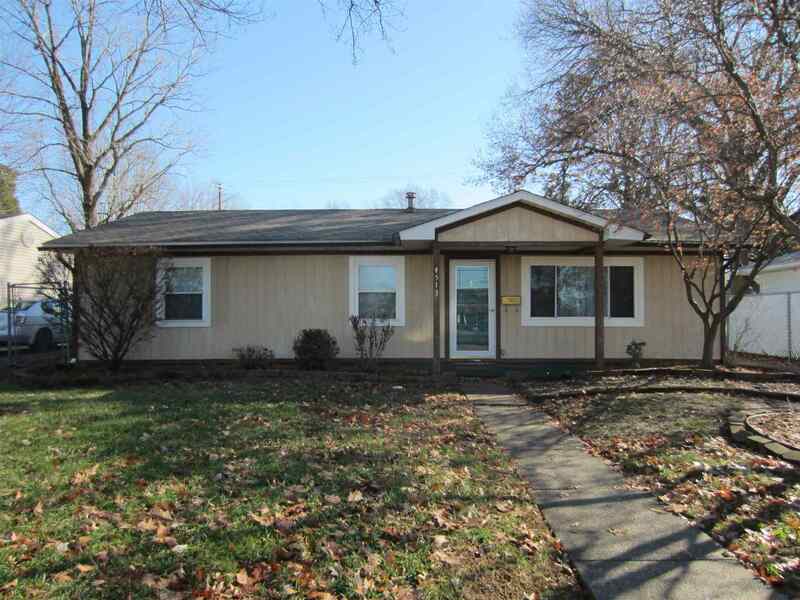 The Front Entry has wood laminate flooring, the Living Room has a large picture window. The Eat-In Kitchen has newer stainless appliances and white cabinets, tall faucet, and space for a large table. The versatile addition in the back has a huge Family Room that has been most recently used as a Master Suite, since it has its own private Full Bath. It has doors to the side deck, and a large wood burning fireplace and hearth. The Bath has ceramic tile flooring and shower, and would be a great in-law apartment with its own entrance, or just a wonderful Family Room. The back hall off the Kitchen has a storage closet pantry, and Laundry Area. The backyard is completely fenced and has a 12x12 shed. Updates (per owner) include: 2018 back water heater, gutters and gutter guards, yard barn rebuilt; kitchen counters 1 year, roof 8 years, back C/A 4 years, washer and dryer 5 years, front water heater 2 years, both furnaces approx 4 years, kitchen appliances approx 5 years. Windows have been replaced, and baths have been updated. Sale includes: all kitchen appliances, washer, dryer, window treatment. Possession at closing!